Change the lives of children overseas and in Guernsey. Your monthly £5 contribution will be put to hard work to see children growing up in an environment where they can thrive. Sign up below and start winning prizes! The £5 Lottery Club just got even more thrilling! We are happy to announce the brand new SUPER DRAW which will be taking place twice each year – in May and November. 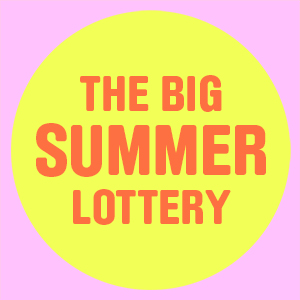 During these two months, the Top Prize of The £5 Lottery Club monthly draw will increase from £1,000 to £3,000! Join today for just £5 per month and be included in our monthly draws, including the first all new SUPER DRAW coming up on 23rd May. The draw takes place on 23rd of each month and all 100 prizes are posted to the winners. Will your name be in the draw? Join today from just £5 per month. In rural Malawi, children struggle to eat enough food, drink clean water and go to school. The £5 Lottery Club is helping to change this. Every Child Our Future has two main objectives: To actively promote a culture in which the community collectively takes responsibility for and participates in the secure development and education of its children from 0-11 years old, and to improve literacy and numeracy standards for Guernsey children. Offering young people in Guernsey a wide range of support, skills and education for improving life styles and parenting skills, developing citizenship skills, gaining confidence, continuing education or entering the work place. Supporting the Frossard Children’s Ward at the Princess Elizabeth Hospital, by raising money to fund medical and other equipment for the benefit of the children and their parents.